Follow the Dead Monkeys on the social medias! Weirdness under a veneer of rythm and blues from the outskirts of Poughkeepsie, NY. As the years roll on, innocence ferments into wisdom, wonder is replaced with conviction and perception itself begins to self replicate into an amorphous blob of opinion, viewpoint and hypocrisy. Once again, the Dead Monkeys attempted to pole vault and otherwise circumvent this process by driving for a while, getting a bite to eat somewhere and then setting up their noise machines on some stage only to escape to and embrace the creative space time fabric all at once, in one fell swoop. We hope we entertained at any capacity in this odyssey: Three States in 24 Hours. Friday August 12 @ Snugs, New Paltz, NY. 11 pm. Saturday August 13 @ WOOL91.5 FM Radio annual Block Party at the Waypoint Center, Bellows Falls, VT. Playing as Sool with Moxley Union, 3rd Rail, Willie & The Heartbeats. With the warm, summer breeze and smell of lighter fluid comes the Dead Monkey's drummer Ken O'Keefe on a giant mongoose from Japan. He's flying back to the USA to tend to the roots he planted as a boy in the swamps of the Hudson Valley all those years ago. With Kevin and Neal, Ken invokes the heart, the horror, and the soul that has become the Dead Monkeys. Add in their Sool buddy Pete Weiss and you have a rock and roll tour de force for a brief time between the 3rd and 8th of August in the New York - New England neck of the woods. We hope to see you at one of these fine establishments. Come on out and reconnect, reconnoiter or otherwise ask Kevin for his famous banana bread recipe. Sool and the Dead Monkeys joined forces yet again for a summer 2014 outing in the Northeastern part of the country. An unconfirmed source tells us that the performances involved imported "japanese fishmonger elvis" wigs. Thanks to all of our friends (except Glen) who came out and supported us. Check out the tour photo gallery. We had a great time on our lil' summer 2013 jaunt from August 8 - 11. With the addition of Pete Weiss, we had a two-pronged approach containing The Dead Monkeys and Sool! 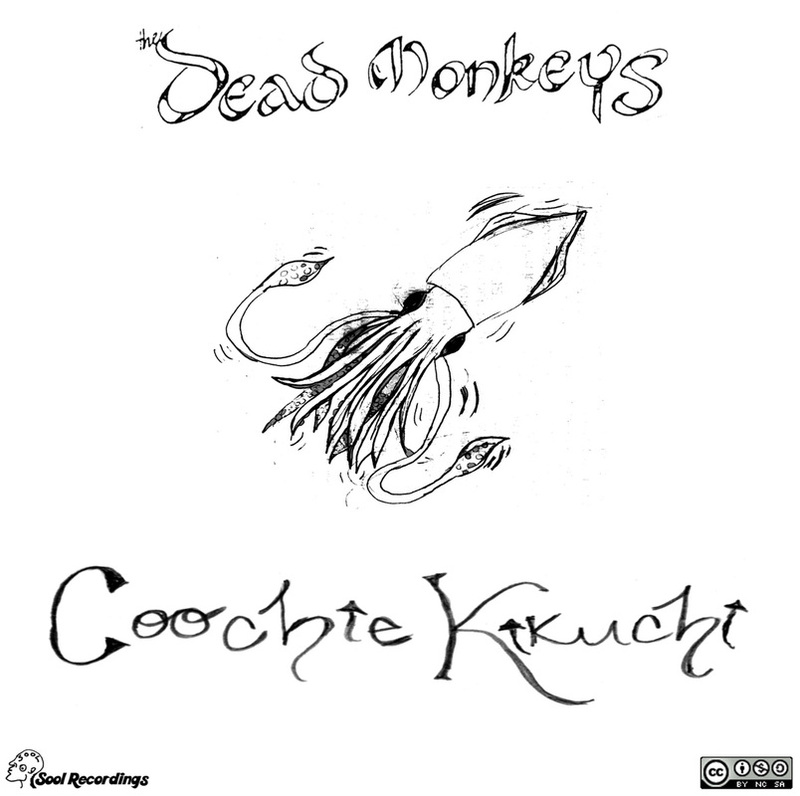 A full length Album featuring 10 tracks of genre-cross-pollination in the Dead Monkey tradition is now available. Their first recording in over 15 years, this project celebrates over 30 years of playing together. Give it a listen and download it here. Physical CDs will be available at our summer tour shows (see above)!! !